New World Library, 9781608684816, 360pp. "Relax," writes author Mary DeMocker, "this isn't another light bulb list. It's not another overwhelming pile of parental 'to dos' designed to shrink your family's carbon footprint through eco-superheroism." Instead, DeMocker lays out a lively, empowering, and doable blueprint for engaging families in the urgent endeavor of climate revolution. 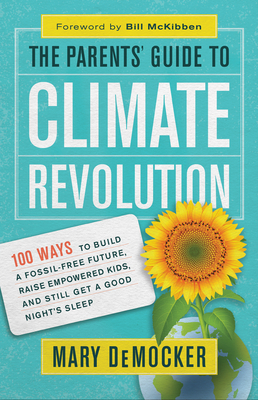 In this book's brief, action-packed chapters, you'll learn hundreds of wide-ranging ideas for being part of the revolution -- from embracing simplicity parenting, to freeing yourself from dead-end science debates, to teaching kids about the power of creative protest, to changing your lifestyle in ways that deepen family bonds, improve moods, and reduce your impact on the Earth. Engaging and creative, this vital resource is for everyone who wants to act effectively -- and empower children to do the same. Mary DeMocker is cofounder of 350.org's Eugene, Oregon chapter. Her work has been featured in Yale Climate Connections and recommended in a New York Times article. She has written about conscious parenting and climate advocacy for the Sun, Common Dreams, Mothering.com, Spirituality & Health, and the Oregonian. She lives with her family in Eugene, Oregon.